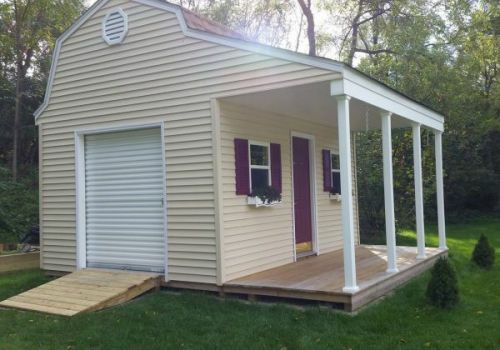 Make Your Shed Awesome with A Roll Up Shed Door! Roll up shed doors are one of the neatest styles of doors you can add to your shed. It's like having a mini garage! Building your awesome shed like the one above using a door that rolls up will make moving mowers, outdoor recreational stuff, boats, etc. a real easy task. Framing for this style of shed door is not hard, and is just a simple matter of following the manufactures guidelines for framing. 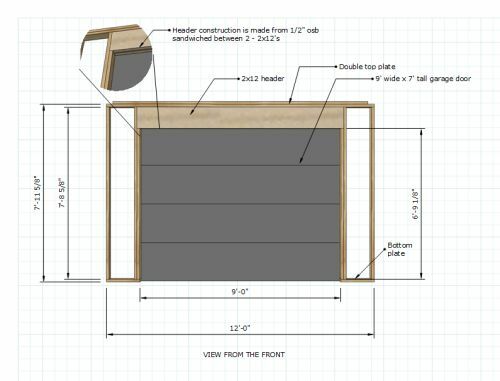 You will want to wait before framing your wall that will contain your roll up door until you know the exact rough opening dimensions, but here is an example below for a 6' wide x 7' tall rolling door. Typically if you want to add for example a 6' wide by 7' tall roll up shed door, you would normally frame your rough opening to be 6' wide by 7' tall. Check out the example below. The roll up door to the left is a 6' wide x 7' tall door. The framing Shane used is shown below. In this example, the rough opening is exactly 6' wide and 7' tall. Inside view of roll up shed door installation. The metal tracks for your roll up door may be the same as what you would get with a standard garage door, with the exception being that your tracks will not extend back into your shed because your door is rolling up, not back into the shed. So for this reason, what I've found with most roll up doors for sheds is that you need about 17" of space directly above the rough door opening for the area needed for the actual door after it is rolled up. The neat thing about that is you won't have your door interfering with access into your attic (if you have an attic!). 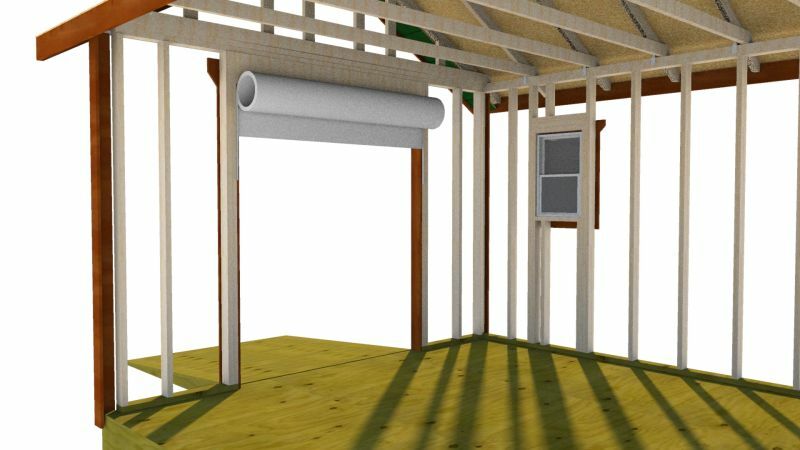 Once you have your roll up shed door installed, you'll want to make sure it's weather tight. What I usually do is trim out the opening with 1x cedar, then add garage door weather seal all the way around the inside perimeter of the shed door. The picture below shows the cedar trim with weather stripping installed. The weather seal is usually made of plastic with a flexible rubber seal that rests up against your door and is flexible enough to allow your door to open and close. 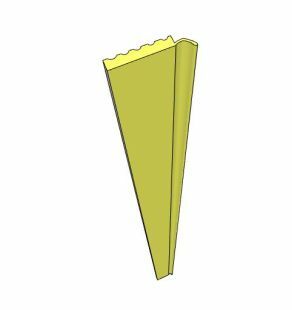 Your weather seal purchase will usually include nails for the installation. Make sure your roll up shed door is wide enough! Adding this cedar trim and weather stripping is going to decrease the working opening space for your door by about 2" so make sure to factor this in for your planning. If you have a mower that that has a 54" deck on it, with a chute, you're probably going to want to go with a 7' wide door to have enough room to pass through your opening. 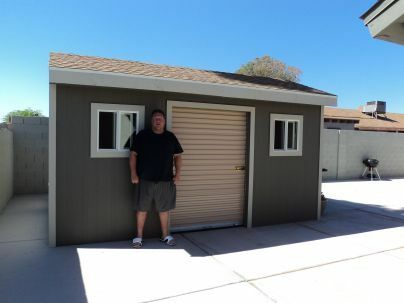 Is your shed big enough for a standard garage door? Standard Garage Doors Work Too! You can even use standard garage doors too! 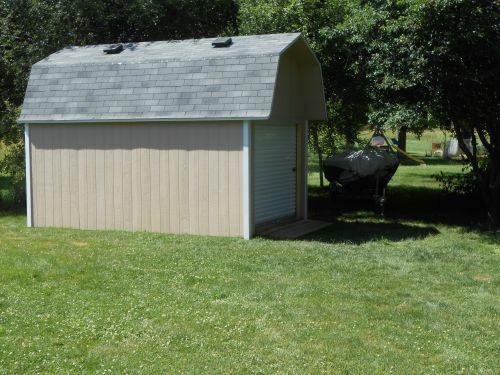 As shown in the picture above, a 12' wide shed with standard 8' tall framed walls will easily accomodate a nice size garage door. 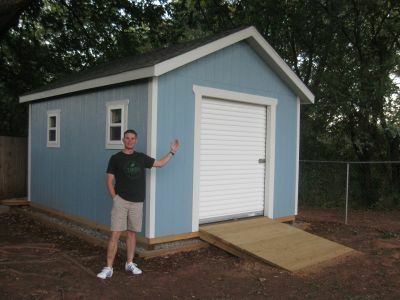 The picture below is from one of my customers who built my 12x16 barn shed and added a standard size garage door to it. By purchasing from Amazon using any of the links below I will receive a small commission. 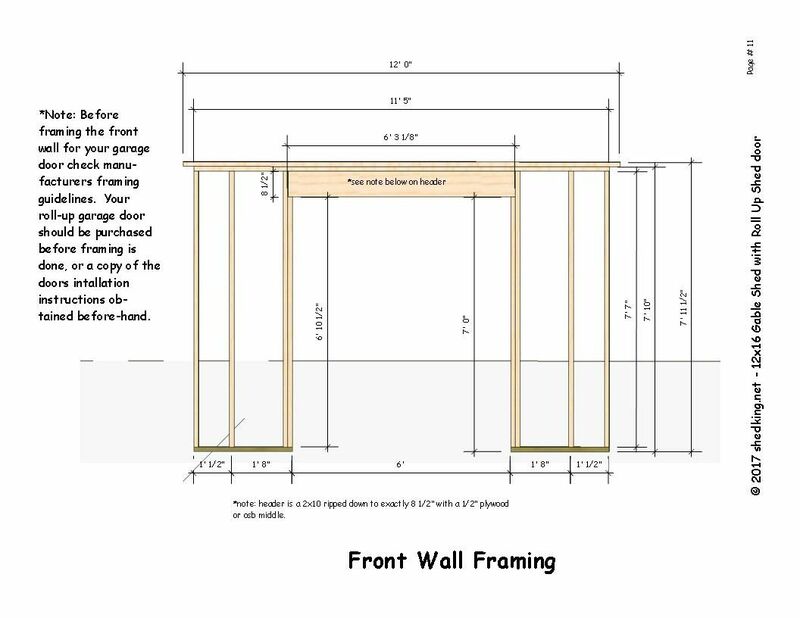 Any of my shed plans will work with standard roll up doors that are 6' in height. 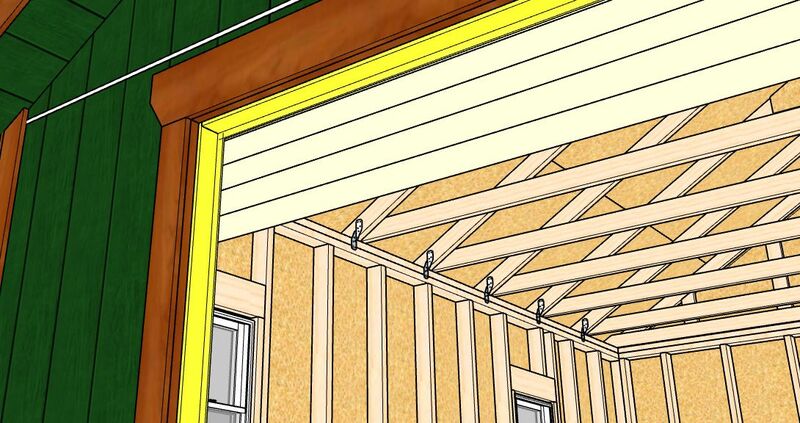 If you are wanting to add a regular size garage door, then you would definitely have to increase the wall height to 8' as that is the only way to accomodate the 2x12 header needed for the wide door way span. A lot of my shed plans show double wide shed doors. If you want to switch to one that rolls up, the same basic type of framing shown can be used. Modifications may have to be made for height and width increases, but this is very easy to do! I am always amazed at how customers send me pictures of their sheds they build using my plans like this one in the picture to the left. This is a 12x16 saltbox where Jeff, one of my shed plan buyers, easily changed out the double wide shed doors for a nice roll up shed door. Shed Doors Direct is another supplier of roll up shed doors. If you purchase from this supplier, I do not receive any commission. They offer a wide variety of rolling shed doors and by doing the installation yourself you'll save some money! 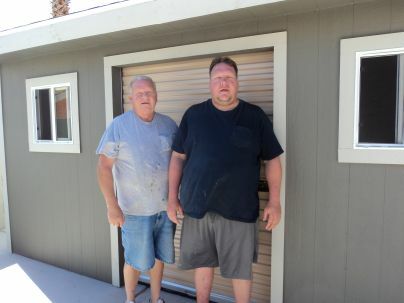 Adding double and single shed doors to your shed.